The word “barbarian” usually describes a person who is deemed uncivilized or uncultured. Yet by the same token, there is positive aspect of the description “barbarian,” at least in fantasy circles. Barbarians -- usually portrayed on-screen as powerful, physically-fit nomadic men -- have appeared frequently throughout cult television over the years. They are almost universally depicted as "wandering warriors," but personalities with the capacity -- if not always the will -- to command armies. 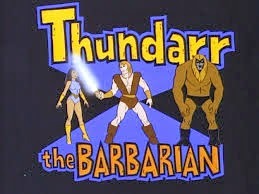 One of the earliest examples of the TV barbarian emerges from a Saturday morning TV series, Thundarr The Barbarian (1980 – 1982), which involves a warrior of the post-apocalyptic future. With his friends Ookla and Ariel at his side, Thundarr battles mystical wizards who seek to control the dangerous military riches and antiques of the long-gone 20th century. 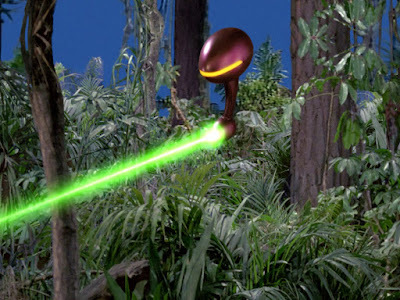 The 1990s brought more barbarians to television than any decade before or since. 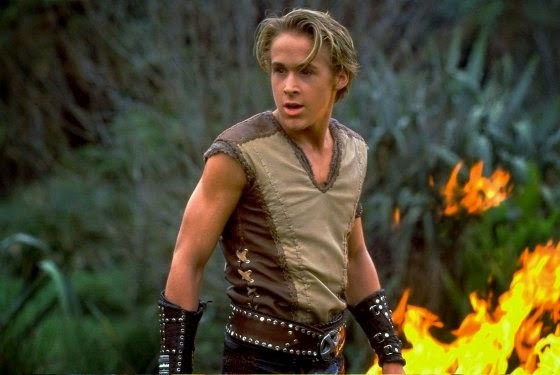 This was the heyday of Hercules: The Legendary Journeys (1995 – 1999) starring Kevin Sorbo, and its spin-off, Young Hercules (1998 – 1999), which starred a young Ryan Goslin as Herc. Another Hercules spin-off, Xena: Warrior Princess (1995 – 2001) had more success, even, than its originator and ran for 134 episodes in syndication. The series starred Lucy Lawless as a warrior roaming the ancient countryside in search of adventure and redemption. The most famous Barbarian of all -- Conan -- even had something of a career resurgence in the Age of Clinton. 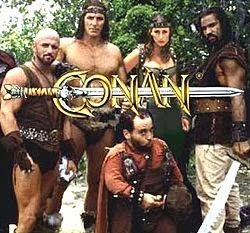 Two animated series, Conan the Adventurer (1992 – 1993) and Conan and the Young Warriors (1994) aired mid-decade, and the franchise came to comprise over seventy half-hour episodes. 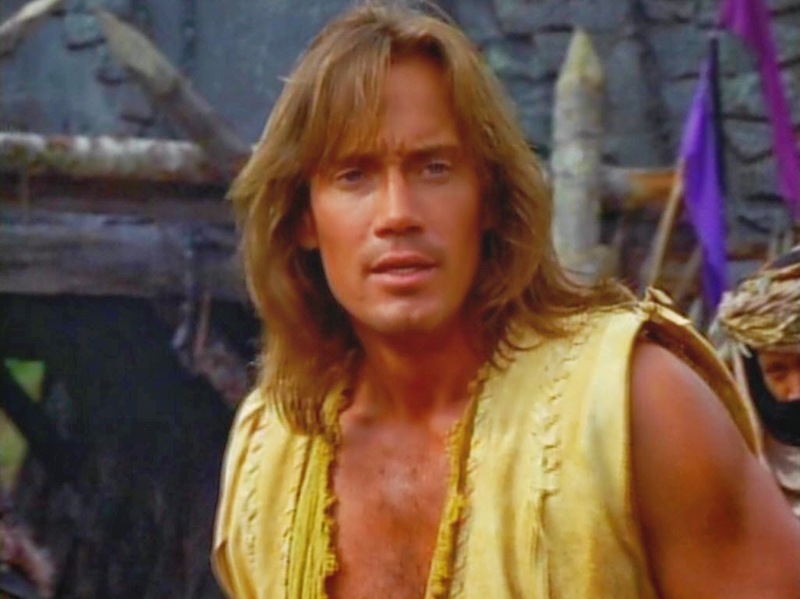 Then, in 1997, a live-action series Conan the Adventurer ran for twenty-two episodes in syndication and starred Ralf Muller at Rober E. Howard’s hero. In this series, Conan battled the wizard Hissah Zuhl, who had enslaved Cimmeria and killed his parents. 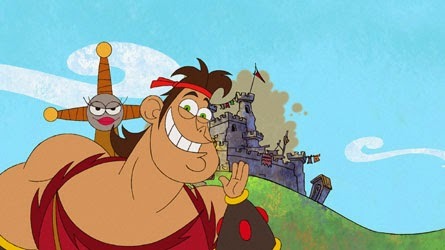 Another animated series, Dave the Barbarian (2004 – 2008) aired last decade on Disney and spoofed barbarian tropes. 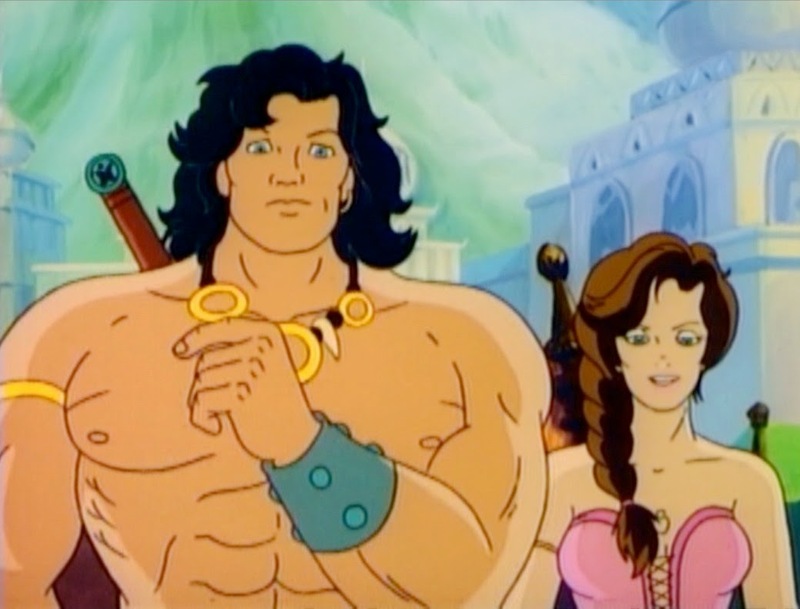 The series featured the adventures of a barbarian who lived in Udrogoth with two sisters, and his parents, the King and Queen. 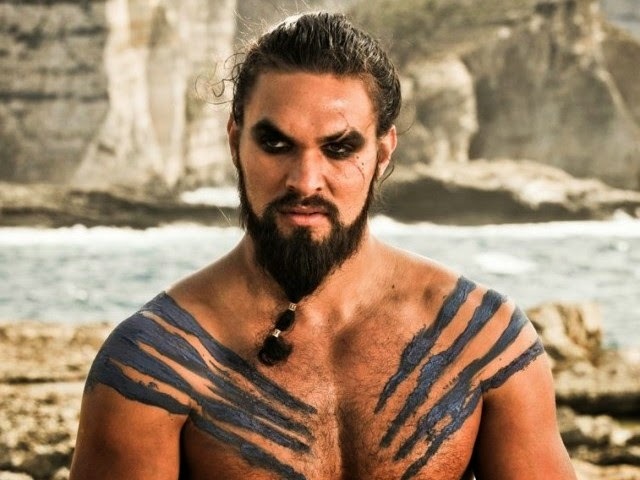 In 2011, Jason Mamoa -- who later played Conan in a re-boot of the movie franchise -- essayed the role of Khal Drogo, a Dothraki barbarian in the first season of the popular fantasy, Game of Thrones. 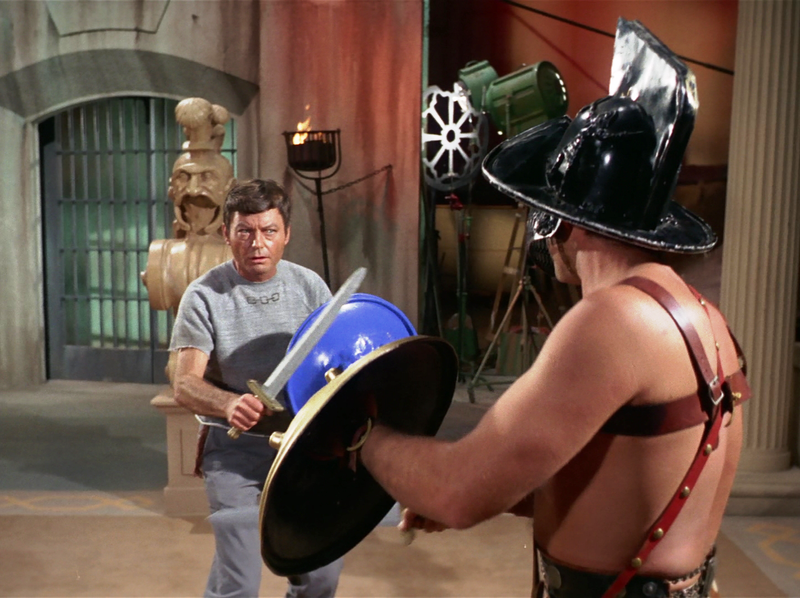 Finally, the original Star Trek (1966 – 1969) even featured an episode with “barbarians” in it, using the term's original definition. In this case, the Enterprise encountered a planet that had modeled itself on ancient Rome, and anyone from outside Rome -- including Kirk, Spock, and McCoy -- were termed “barbarians.” The episode, "Bread and Circuses" aired in the series second season. I miss Xena. I used to watch that religiously in middle school.... Callisto is still one of my heroes. Mention should be made of Korgoth of Barbaria, a pilot for a cartoon on Adult Swim that would've parodied Conan. Sadly, it never went to series.